While oral thrush in its early stages is not typically painful, if untreated it can lead to complications – and those will hurt. That’s why getting informed and identifying it as soon as possible is crucial to getting read of this infection smoothly and painlessly. Oral thrush is a mycosis – a fungal infection – of the mouth which can seem pretty ugly when you first see it: creamy white patches on the tongue and cheeks, some blisters at the corners of the mouth and even occasional bleeding. All in all, it can look pretty scary if you don’t know what it is. However, that’s about as bad as it will get for most people, and it will go away with proper antifungal medication. Not to mention it’s not contagious – unless you’re breastfeeding an infected baby, that is – so you don’t need to worry about catching it. Nasty-looking white patches are commonly associated with thrush, though they may be present in other diseases, too. These patches won’t normally hurt, and they can be taken away with a spatula or scraped away with your fingers. If you do that, you’ll notice that the tissue beneath is swollen and may bleed, so it’s better to just leave them alone. They’ll go away with treatment, anyway. Another common symptom is soreness of the mouth and difficulty swallowing, especially if the infection has spread to your throat. If it goes beyond that, you’re likely to experience fever and sickness, especially if your immune system is weakened. Left untreated – particularly in patients who have serious diseases such as AIDS or cancer – oral thrush may cause symptoms such as loss of taste, a burning sensation in the mouth, bleeding of the lips, difficulty swallowing and even hoarseness, if the infection goes to the larynx and the trachea. At that point, you might experience more severe pain, and, since the infection may be systemic, you may need to take more powerful medication, such as echinocandins. These oral thrush symptoms are pretty rare, though, and, again, they usually occur in patients who have other conditions and who ignore the early symptoms. Dealing with oral thrush in the early stages will usually prevent it from worsening. There are many antifungal treatments that you could take, depending on your medical history, your age, and the severity of your condition. The most commonly-prescribed drugs are fluconazole (pills) and nystatin (drops, gel, or lozenges). There’s also a variety of natural thrush remedies that you could try. Essential oils such as coconut and tea tree have been known to kill candida albicans, and probiotics can help stay its growth. However, the most important thing you can do to prevent recurrent thrush infections is to eat right. Since candida thrives on sugars and glucose, avoiding those in your diet is crucial to staving off potential infections. You can learn more about proper thrush diet here. 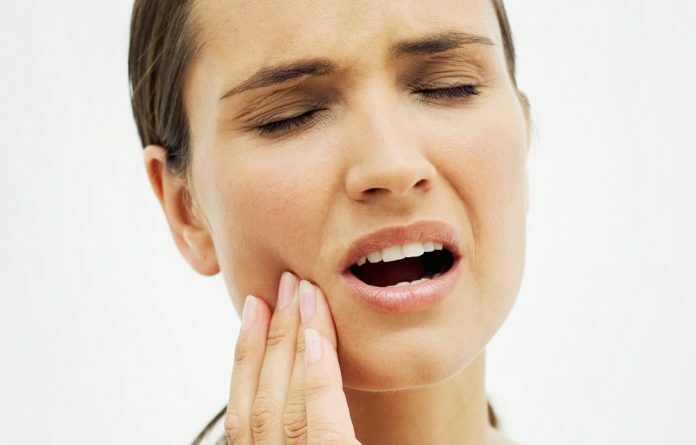 Oral thrush is not normally painful, but you might experience pain once the infection becomes more severe. The best way to avoid such unpleasant symptoms is to treat it as soon as you notice the first white patches – this will ensure a fast cure, and will lower the chances of the infection becoming systemic.